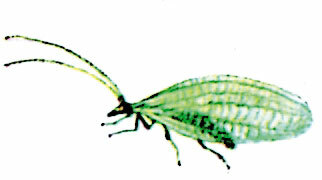 Lacewings are useful insects that are natural enemies of Greenfly and Mites. Their larvae feed on smaller insect pests; during their two week development, each one can eat as many as 500 Greenflys. Adult Lacewings survive through the winter but require shelter from mid September until the next spring. 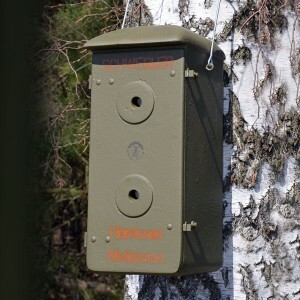 Our SCHWEGLER Lacewing Box is a secure place in which they can spend the winter and also provides the best possible protection against their natural enemies. 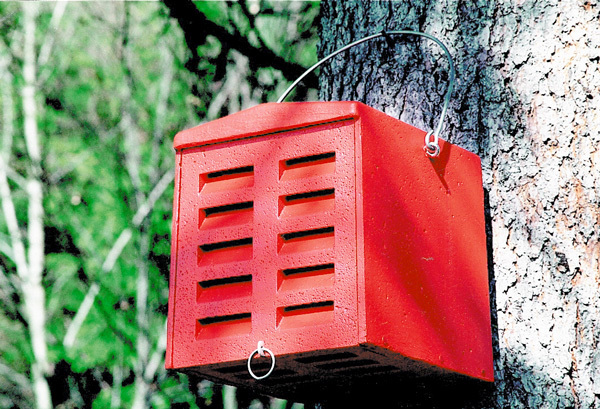 Siting: The Lacewing Box is supplied with natural straw and should be attached at a height of 1.5 to 2 m on a pole, mast or solitary tree, with the side containing the slats sheltered from the wind. When to set it up: Large numbers of lacewings can be found from mid-September onwards on the outskirts of towns or villages, fields, meadows or fallow land. 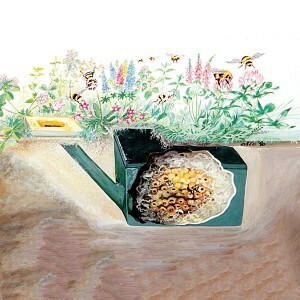 After the first frost the occupied box can be moved to a garden and set up near bushes and fruit trees ready for the next spring. It can be left outdoors all year round and requires no maintenance or cleaning. Installation: Always all-year round in the outdoor area. Maintenance-free roost; no cleaning necessary. 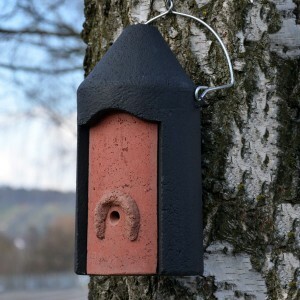 Installation height: 1.5 to 2.0 m.
Colour: The box is brightly painted red because lacewings see colours ­differently from humans and prefer this colour. 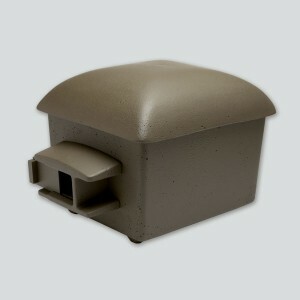 Material: SCHWEGLER wood-concrete with galvanized steel hanger. Dimensions: W 28.5 x H 30.5 x D 30 cm. 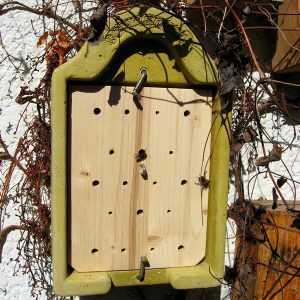 Includes: Lacewing Box, hanger and aluminium nail.